For as far as Judaism, Israel, this is what is said in the New Testament. 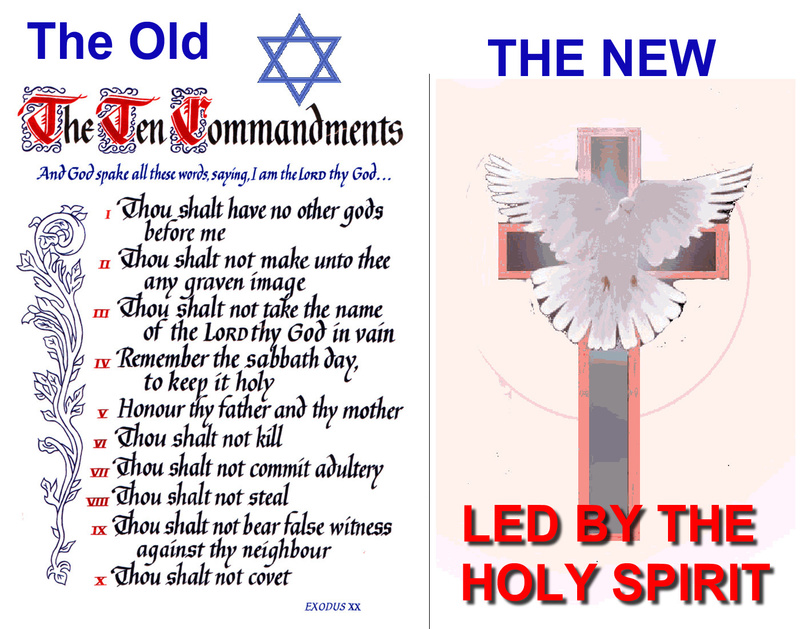 Lies and distortions, taking isolated Bible verses out of context, are major part of the Jewish interpretation of Christianity, and of Jesus , Apostle Paul, and all Christian teachings.. even by the Messianic Jews and most Jews, Muslims even, they do not worship the same God as the Christians do cause they had rejected Jesus Christ as their God. Many Jews do view Gentiles, Christians still as morally impure because they engage in the other practices, teachings that were deemed immoral by Jewish standards. The Gospel of Matthew by the Jews is referred to as the “most Jewish” gospel of the New Testament, while Luke-Acts, Apostle Paul’s writings are viewed as merely a Gentile Christian text, or very much less Jewish in other words. No Jews or non Jews never the less should still continue to observe the Torah after embracing Jesus as their Messiah. The Christian Church is not defined solely by the 4 Gospel of Matthew, Luke and John but is also clearly more defined by the Book of Acts and Apostle Paul’s writings. Matthew 28:19–20, which appears only in Matthew: “Go therefore and make disciples of all nations, baptizing them in the name of the Father and of the Son and of the Holy Spirit, and teaching them to obey everything that I have commanded you.” Does not include the Torah , or the Noahide laws. Noahide Laws. This false rabbinic teaching posits that Gentiles need not observe the 613 commandments of the Torah but only abide by seven universal, ethical laws. Jesus was responsible for the cessation of the Jewish religious practices. Jesus was the first “Christian,” who had come to announce the end of the Torah and Judaism, of Israel as well. Jesus simply came to fulfill Messianic prophecies contained in the Jewish scriptures, and not to Continue his once Jewishness. Still the Apostle Paul is falsely accused of Draining Jesus of his Jewishness and the false “Blame” for the Christian distancing from Jewish practice has centered around Paul, the apostle of the Gentiles traditionally. Paul by the Jews is viewed as an “apostate” from Judaism who rather had founded a new religion, Christianity. In reality the observance of Jewish customs essentially vanished after the first generation of Jewish, Gentile Christian followers of Jesus passed away, especially after 70 CE—the year when the Temple of Jerusalem was destroyed by the God and Romans. The Jewishness of Jesus has been gradually resurfacing mainly in North America mainly and is contrasted by the Views held by European Christians. American Christians tend to conceive of their faith in Jewish terms and even falsely identify themselves with the Jewish people and story significantly a lot more over the Europeans Christians..
“For I tell you, unless your righteousness exceeds that of the scribes and Pharisees, you will never enter the kingdom of heaven” (Matt 5:20). And elsewhere, Matthew stresses Jesus statements on the the importance of the Jews in keeping firstly the “moral” or “ethical” requirements of the Torah over their merely keeping the “ritual” commandments of the Jewish Law. The moral or ethical laws dictate how humans should relate to one another. Ritual commandments, on the other hand, refer to those laws that are meant to set the Jews aside as the chosen people to serve their God which had in he past included such things as the observance of the Sabbath, festivals, circumcision, as well as certain purity and dietary laws and all of which still are not binding on any Christians. Matthew’s Jewish Jesus accuses the Pharisees for neglecting the practice of ethics by focusing on the ritual: “Woe to you, scribes and Pharisees, hypocrites! For you tithe mint, dill, and cummin, and have neglected the weightier matters of the law: justice and mercy and faith. It is these you ought to have practiced without neglecting the others” (23:23). Matthew uses the term “weightier matters of the law” to describe the moral commandments of keeping justice, mercy, and faith. The Pharisees focused more on fulfilling “lighter,” ritual commandments such as tithing herbs It is clear in Luke-Acts that Gentile Christians are not expected to observe the Torah in its entirety. Acts makes this point clear by decreeing that Gentile (male) followers of Jesus do not need to be circumcised but need to “abstain only from things polluted by idols and from fornication and from whatever has been strangled and from blood” (15:20). While there are no statements in the gospel of Luke any more than in Matthew that abrogate the observance of dietary laws for Jews all real Christians next, now are free to eat pork, lobster, or any other animal forbidden for Jewish consumption by the Mosaic Torah (Leviticus 11/Deuteronomy 14). Acts chs. 10–11, rather, many readers of Luke-Acts did all gather rightfully to proclaim the end of Jewish dietary laws. Apostle Peter, one of the main disciples of Jesus in Acts, learns this lesson through a vision in which he sees all kinds of “four-footed creatures and reptiles and birds of the air” lowered from the sky on a sheet (10:11–12). Three times a heavenly voice commands him to slaughter and eat the animals in front of him, but Peter adamantly refuses, claiming that he has “never eaten anything that is profane or unclean” (10:14). The heavenly voice responds that “what God has made clean, you must not call profane” (10:15). Now this statement literally announces the obvious application of the vision, namely, that all animals are now kosher and permissible for consumption. Luke 16:16: “The law and the prophets were in effect until John came; since then the good news of the kingdom of God is proclaimed, and everyone tries to enter it by force.” Thus the proclamation of the good news of the kingdom of God marks a new phase in Jewish history, which is Christianity. The kingdom of God is proclaimed in Luke-Acts at the expense of the Jews, Jewish Torah. No Jewish person in Acts embraces more the past perpetuation of Torah observance like Apostle Paul. Paul had attended the synagogue on the Sabbath (13:14–15; 14:1, etc. ), kept the Jewish festivals such as Shavuot/Pentecost (20:16) and Yom Kippur (27:9), went to the temple in Jerusalem and had partaken in its rituals (21:24), affirms his past fidelity to the Torah and Jewish customs (28:17), and even circumcises Timothy (16:3)! And yet he too next had gave it all up to be a follower solely of Jesus Christ . Personal Salvation, for all by Jesus Christ is achieved without observing the precepts of the Torah that had exclusively applied only to the Jewish people and which laws they were never able to keep in full as well. So why would they want to put Christians under these false bondages? Jews, Messianic Jews blame Christians, Gentiles for their hardships, sufferings. “It is an aggressive , war like stance in the debate over the Jewish history,” where both groups have been distorting the past of their history. “History is a victim of the current crisis in relations between Jews and and Christianity . The whole question is how much hard evidence does anyone really have to support their too often one sided presentations is asked. No one knows what Jewish life was even at the time of Christ even cause the Romans had destroyed the Jewish books and Libraries.. “ The Jews do want everyone to think that everyone else wise is in the wrong, abusive, corrupt, influenced.” Selective memory, false Biblical studies, “wars of historical memory” are being waged by the Jews with the Christians, Gentiles where History is increasingly being interpreted in different ways to suit their own personal Jewish views . Any negative statements that comes about as to the Jews is now still being falsely viewed as being anti Semitic, as Gentile Genocide with the “intent to destroy, in whole or in part, a national, ethnical, racial or the whole Jewish religious group,” and not necessarily by killing them, but also by any opposition of the PAST Jewish acts, writing, history. Luke-Acts still remind us that the ex Jewish and Gentile followers of Jesus both had played a prominent role in early Christian history, even after the destruction of the Temple in 70 CE, when all Christians, now non Jewish ones too were becoming the dominant force and voice within Christianity. In reality many of the early History of Christian works, those the church fathers wrote or preached from the pulpit have been preserved and they were mostly opposed to Judaism and the observance of Jewish custom. . As late as the fourth century of the Common Era, John Chrysostom, was vociferously convincing his Christian parishioners in Antioch not to attend services at synagogues and not to observe Jewish festivals . No Jews or non Jews should continue to observe the Torah especially after embracing Jesus as their Messiah. Today’s Apostolic leaders bring another challenge of the false Christian Zionists who have made a “deal with the devil” in accepting Messianic Christian Zionism..